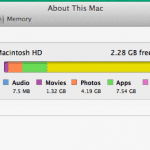 I don’t know about you, but I love to get as much as I can out of my Mac. I want to make sure I have enough space as possible to do what I want on it. 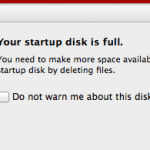 After a while you tend to put a lot of files, movies, pictures, and apps on your Mac and the space on the hard drive starts to get smaller and smaller. Yes, you can go and get an external hard drive and offload a bunch of your files. 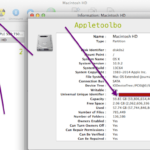 But there is a simpler, easier, and cheaper way to save yourself some space on your Mac. And the best part is that after a little set up it runs in the background and you don’t have to worry about a thing. 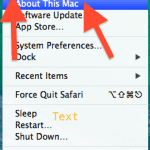 I am talking about a Mac app called Clusters. 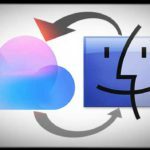 Clusters is an app that installs to your System Preferences and helps you save some space on your Mac. 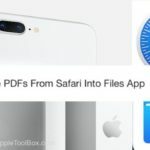 The way the app works is that you select folders that you want to save some space on. 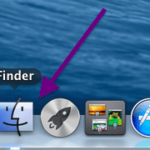 For example, I have a lot of applications so I will add my Applications folder to Clusters. Then it will do the rest. 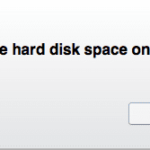 It will compress the folder and give me some space back on my hard drive. After the initial scan through the folder, you are now good to go. 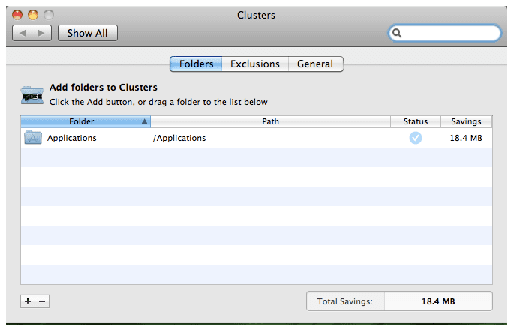 Clusters will now run in the background and continue to compress the Applications folder so that you can save even more room. And you don’t have to do anything. I picked some of my biggest folders to put into Clusters. For example, my applications, pictures, movies, and music folders are all in Clusters. Once I set this up at the beginning, I have hardly ever had to open Clusters again. It just continues to work and save me more space on my hard drive. It is such a simple app that works so well. You can buy Clusters for $13 and trust me, it is worth every penny in the amount of space you end of saving over time.